Not every parenting approach will fit every family’s needs. That’s why I offer several different options for parents, schools, and corporations. As a former teacher, school counselor, and college counselor, education is in my DNA. I understand how mindset, emotional intelligence, motivation, and parenting practices can intersect to impact the success and education of each student. I have had the opportunity to speak to both parents and educators at PTAs, Montessori schools, and private preschools throughout Denver. My approach is unique in that I am able to draw from multiple educational settings while drawing from my training in multiple parenting practices, as well as my extensive training in trauma-informed care. My workshops are thought-provoking, informative, and interactive. My goal is that everyone walks away with tools, scripts, and inspiration that will lead to immediate change. As much as we’d all like to believe we can completely compartmentalize our lives, no human is perfect at it. If an employee is struggling in their personal life with the people they love most, their productivity, effectiveness, and motivation at work are likely to suffer. By supporting your employees in these areas, you’re also boosting your own company culture and productivity as the skills transfer to the office. Workshops and classes for parents are offered quarterly and are generally held at my office, a local library, or in a host’s home. Many parents choose to host a workshop in their home and invite their friends to join. If interested, contact me to reserve a date. Learn more about Love & Logic® here. Drawing from world-renowned research on relationships at Seattle’s The Gottman Institute, this program provides current science-based knowledge that will teach you the essential parenting skills for helping toddlers through teens navigate their complex emotional world. Easy to learn and implement, emotion coaching supports kids in ways that build genuine self-confidence and helps them grow socially, emotionally, and intellectually. You can learn more about Gottman Emotion Coaching here. Raising Highly Capable Kids is a 13-week curriculum that is based on the Search Institute’s 40 Developmental Assets. Search Institute has undertaken decades of research with more than 5 million children and found that there are 40 building blocks every child needs to grow and mature. And the more of these Assets a child has in her life, the more likely she is to engage in healthy behaviors while veering away from those that are unhealthy. This program was created to help build stronger families by giving parents/guardians the confidence, tools, and skills to raise healthy, caring, and responsible children. Connected Parenting is a research-based class that uses concepts from Love & Logic®, The Gottman Institute, and Attachment Theory. Postpartum Depression is the most common complication of childbirth and can affect any mom who gives birth up to 1 year after birth. 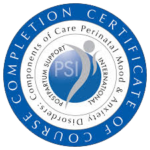 This class will teach you everything that you need to know about postpartum mood and anxiety disorders, risk factors, early warning signs, treatment options, and strategies to reduce your risk. You’ll walk away with tools for wellness and a postpartum support plan. Whether you are pregnant or have already had your baby, come learn how to create the most emotionally healthy postpartum experience possible. A prerequisite for any intervention in your family—whether it’s a discipline intervention for your kids or a relational intervention for your marriage—is a strong, healthy, and intentional relationship. Through the research of Drs. John & Julie Gottman, we will explore the Gottman Sound Relationship House to learn how to use connection, courageous conversations, and empathy to restore the relationships in your home. What if I told you there were five specific skills that can predict a child’s future success in life? From the groundbreaking work on Emotional Intelligence, Daniel Goleman identified five characteristics that predict a person’s eventual success in life (even more than general intelligence or IQ). The Raising Children to be Successful Adults workshop will explore these crucial characteristics and how parents and teachers can foster them in children. Learn why taking care of your marriage is critical to your child’s development! Based on the research of Drs. John & Julie Gottman, this hands-on workshop will help participants learn the secrets to increasing relationship satisfaction and parenting as a team. Interested in more than one approach? Check out Parenting Strategy Sessions, where we can customize our work to meet your specific needs. Once you read that positive pregnancy test, you have nine months to “get ready” for baby. For many, the majority of your preparation revolves around your home: getting the nursery ready, registering for all the baby gear, and baby proofing your home. What many don’t realize, is that pouring our time and energy into getting our relationship ready is equally (if not more) important. Why is it so important to focus on your relationship when you’re about to have a baby you ask? Lots of reasons: you’ll need that sounding board to remind you who you are individually, as a couple, and as a family when you’re all starting to get stressed with the demands of raising a child. Also, when you’re low on sleep, your ability to remain cool, calm, and collected goes out the window, so you’ll want a strong (read: forgiving) relationship to nurture this time. And lastly, any decrease in marital satisfaction actually effects our overall happiness “because the biggest predictor of overall life satisfaction is one’s satisfaction with their spouse” (check out the article here). At first glance, this can all seem a little depressing. But the good news is, becoming parents together is actually a time that is ripe for bonding and deepening of our awareness of each other. My workshop, “Becoming Us” will give you the roadmap to help you stay connected as a couple as you navigate your parenting journey. You will learn about communication, bonding, attachment, and more to set you up for success during the most joyous moments of your lives. Growing closer together as parents is my goal for you—this workshop will help you and your partner learn skills to help you through the stresses of parenting. Both private and community workshops available. Interested in attending one of Kindred Counseling’s workshops or having Brittni come and speak to your group? Anything else Brittni should know?